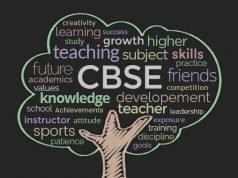 Looking for details about The Bishop’s CO-ED School at Kalyani Nagar, Pune? The Bishop’s CO-ED School at Kalyani Nagar in Pune is a renowned educational institute aimed at providing excellent academic as well as co-curricular facilities to all its students. The school offer its students a perfect mix of academic, co-curricular and extra curricular activities necessary for all round development of a student. The school and the teachers motivate all their student to explore their full potential to become responsible global citizens.